Bruce W. Mueller is the CEO/General Manager, joining Wheatland Electric in 2012. Bruce is responsible for directing the overall operations of Wheatland Electric Cooperative, Inc. Before joining Wheatland, he worked in the electric utility industry at Central Power and Light (now American Electric Power) for 18 years and San Bernard Electric Cooperative for 10 years in executive management roles. He holds a Bachelor's of Business Administration in Finance from Texas State University, a Master's Degree of Business Administration in Management from the University of Houston-Victoria, and is a graduate of Robert I. Kabat Management Internship Program (MIP) offered by the National Rural Electric Cooperative Association. Bruce is on the board of Sunflower Electric Power Corporation and Mid Kansas Electric Power Company. He currently serves as Vice Chair of Mid-Kansas Electric Power Corporation, is Chairman of the Kansas Touchstone Energy Executive Council and is an alternate board member on the Kansas Electric Cooperatives Board. Bruce is also a Certified Energy Procurement Professional. 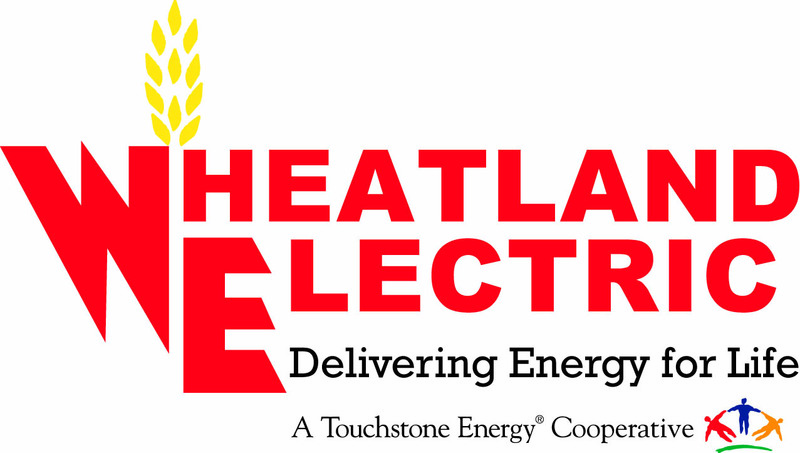 Trey Grebe is the Assistant General Manager, joining Wheatland Electric in 2016. Prior to joining Wheatland, Mr. Grebe spent his first 15 years working in the electric industry at American Electric Power and then moved on to Pedernales Electric Cooperative where he spent the next 16 years working in various leadership roles. He holds a Bachelor of Business Administration Degree in Marketing from Texas State University and is a Certified Energy Manager and Certified Energy Procurement Professional with The Association of Energy Engineers. Trey also serves as an alternate on the Sunflower Board of Directors. Jim McVay has been Wheatland Electric Cooperative’s General Counsel since January 2018. Jim received his Bachelor’s of Science Degree in Political Science and Juris Doctor, both from Washburn University. Jim served 23 years in the United States Marine Corps. He has been an Attorney in Great Bend, Kansas for 30 years. He has tried several hundred bench and jury trials. Rick Klaus is the Director of Operations at Wheatland Electric. Rick has been with Wheatland for 37 years. He received his Associate Degree in Agribusiness from Garden City Community College. Rick is in charge of electrical operations for all seven districts within Wheatland’s service territory. Rick is also a member of the Kansas Line Supervisors Association. 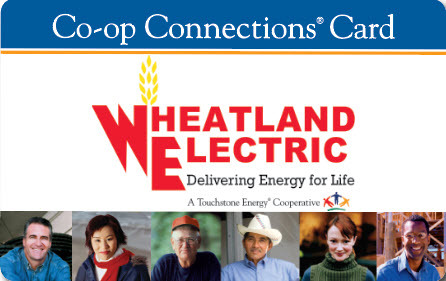 Barbara is the Director of Human Resources at Wheatland Electric Cooperative. Barbara has been with Wheatland for 14 years. She received her Bachelor of Science Degree in Organizational Management in Human Resources from Colorado Christian University. Barbara directs all aspects of employment, recruiting, wages and benefits, regulation compliance, organizational development and training functions. She is active in the Society of Human Resource Management (SHRM) Organization. Radona is the Director of Finance. Radona has been with Wheatland for 14 years. She received her Bachelor of Finance degree from the University of Miami. Radona directs and is responsible for the daily financial, administrative, regulatory, and reporting duties of the Cooperative. Radona is a Certified Public Accountant licensed in the State of Kansas and designated as a Chartered Global Management Accountant. Radona is a member of the American Institute of Certified Public Accountants, sits on the Board of the Kansas Society of Certified Public Accountants, and is a member of the Western Kansas Chapter of Certified Public Accountants. Jevin is the Director of Information Technology and Broadband. Jevin has worked for Wheatland Electric for 21 years and has been in his current role since 2012. He is responsible for the operation and maintenance of the cooperative network and communications, Voice and computer systems at Wheatland Electric. Pam Brungardt is the Director of Consumer Services at Wheatland Electric. Pam has been with Wheatland for 12 years. She received her Associate Degree in Business and Certificate of Office Technology both from Garden City Community College. Pam directs all aspects of the Consumer Services Department to ensure positive member relationships and management of Wheatland’s rates, rules and regulations. Pam is a member of the Kansas Committee for Rural Electrification. Luke West is the Director of Corporate Services & Water at Wheatland Electric. Luke has been with Wheatland for 14 years. He received his Bachelor of Science Degree in Agribusiness from Kansas State University. He was also a Journeyman Lineman for 8 years. Luke oversees all activities of the Water Division (water contracts, farm leases, etc) and oversees all corporate policies/documents and facilities at Wheatland Electric. Luke is also a Certified Loss Control Professional through NRECA. Quinten Wheeler is the Manager of Safety and Compliance at Wheatland Electric. Quinten has been with Wheatland for 12 years. He received his Bachelor of Science Degree in Biology from Kansas State University. He is also a Journeyman Lineman. Quinten’s role is to ensure that Wheatland Electric Cooperative and it’s 140+ employees are safe and compliant. Quinten recently earned his CLCP (Certified Loss Control Professional) certification through NRECA. Alli Conine is the Manager of Member Services & Corporate Communications at Wheatland Electric Cooperative. Alli has been with Wheatland since 2015. She received her Bachelor of Science degree in Family Studies and Human Services from Kansas State University. Alli is responsible for all internal and external communications at Wheatland. Alli also coordinates all community and school programs in addition to all membership meetings. Alli recently earned her Certified Key Accounts Executive (CKAE) credentials through NRECA. Rhei Thurman is the General Manager’s Executive Assistant. Rhei has been with Wheatland for 5 years. She graduated from Wichita County High School. Rhei’s responsibilities include planning the agenda for monthly board meetings, planning and coordinating travel accommodations, and meeting arrangements for the General Manager, Board of Trustees and Executive Staff.